The overdrive section is equipped with a three-position Range switch, which tailors the response to produce vintage, modern, and high-gain overdrive tones. This allows you to choose between bluesy textures similar to an Ibanez TS9, a modern rock feel like a Fulltone OCD, or aggressive in-your-face saturation. Individual Drive, Tone, and Level controls allow you to further dial in the settings that best suit your guitar and amp setup. The Overdrive is followed by a 100% discrete, pure Class-A Boost circuit with a variable level control that can provide up to +22dB of clean gain. This can be used to let your solos sing out or to push the front end of a smaller amp harder, causing it to prematurely break up. Both the Overdrive and the Boost utilize true-bypass switching, which ensures that you retain the pure tone of your guitar as if it were plugged directly into your amplifier. 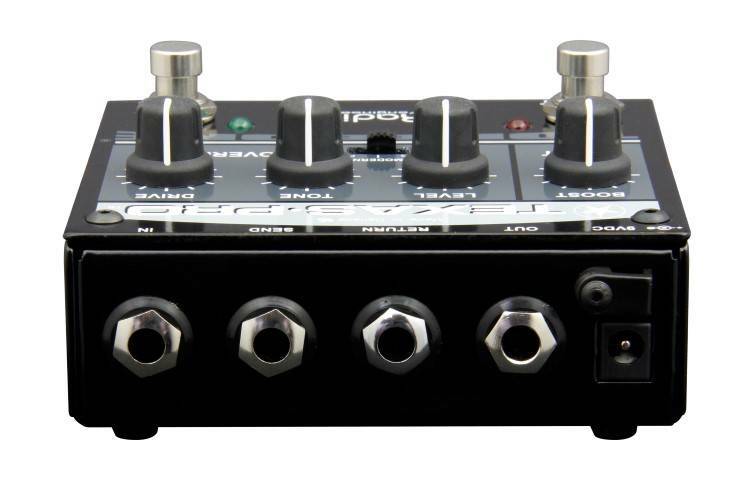 For additional functionality, a built-in effects loop provides the ability to connect delays or other pedals, activating them when the Boost footswitch is engaged. This makes transitioning from rhythm to lead quick and efficient, with just a single foot-stomp required. The Texas-Pro is housed in a compact chassis that is small enough for any pedalboard, while still able to handle the rigors of the road with 14-gauge steel construction and heavy-duty footswitches and connectors. 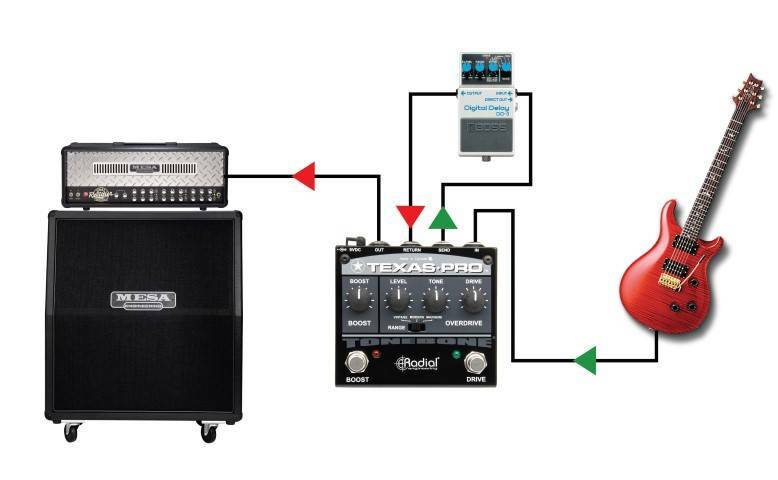 Standard 9V power supplies and multi-pedal power bricks can be used to power the Texas-Pro. This pedal surpassed expectations. I was using the EHX Soul Food as an overdrive/booster. It was good but missing something. After reading about this Tonebone overdrive and boost unit and seeing it on sale, I jumped to get one. So glad I did! Sweet tone, highly responsive and clean as can be in terms of its delivery of the effect you dial in. The Boost implementation is so spot on and super useful on an overdrive/distortion pedal like this. Nice! Bit of game changer for my rig, really. Oh, and fantastic build - solid! Definitely worth a try.